Équiterre is actively engaged in the effort to raise public awareness of the benefits of transportation electrification and, especially, to demystify electric vehicles. Équiterre’s Electrifying Encounters campaign has allowed thousands of Quebecers in all regions of the province to experience electric vehicles through educational activities and test drives. Actress Christine Beaulieu, the spokesperson for the Electrifying Encounters campaign, invites the population to come and try an electric vehicle this fall. Check out the schedule of the Quebec Electric Vehicle Association (AVÉQ) to find out about test drive events happening in your region this summer. New ! The Running Electric 2019 Brochure. How to choose a plug-in vehicle that meets your needs. 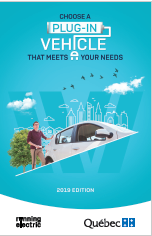 This brochure contains useful information: all plug-in vehicles available in Quebec in 2019, comparating total cost, financial incentives, charging stations and much more. Share it ! Why does the electrification of transportation matter? Why is it a smart choice for Quebecers and for our environment? The electric car explained in 5 questions. Debunking the myths for a better understanding of the facts: the different types of electric vehicles, charging station networks, operating range, environmental impact and associated costs. See the cost comparison. Five essential steps for making the shift to electric vehicles. Assess your travel needs, explore charging options, learn about models available on the market, compare costs, and test drive an electric vehicle for free! Plugged in. Find out about the various initiatives organized by businesses, municipalities, transit agencies and organizations involved in transportation electrification. Équiterre organizes activities in workplaces in electrification transportation (test drives, conferences, etc.). To find out the companies that participate, employee testimonials, visit the webpage. Interested in having Electrifying Encounters come to your workplace? Contact us! ENTER THE CONTEST "FILL UP ON ENERGY"
Congratulations to the Côté-Lévesque family, who have won the grand prize: an electric vehicle for one month thanks to Montréal Auto-Prix and a trip for two to visit the James Bay hydroelectric stations offered by Hydro-Québec. Stay tuned for the next edition of our contest, coming this fall! 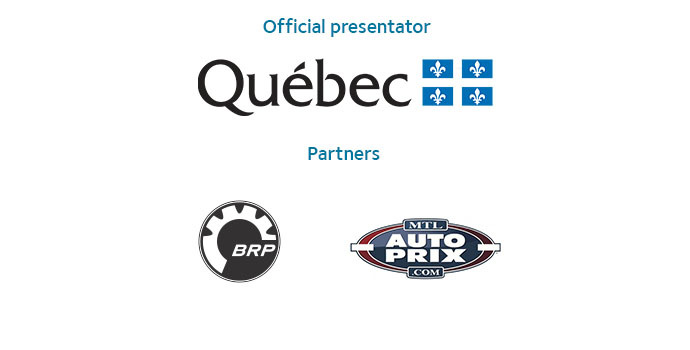 We would also like to thank the Quebec Electric Vehicle Association (AVÉQ) and the Innovative Vehicule Institute (IVI).